Tadjoura, the White. All the houses of the country are whitewashed. 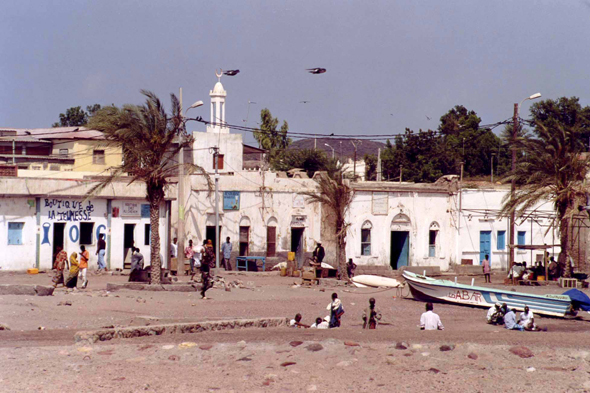 The presence of the eight mosques is masked by the maritime character of the city.